The title is a half-truth. I make two to three types/loaves of bread per weekend so they will last for the whole week (or most of it). This weekend, though, I was worried about completed my first loaf using 100% homemade sourdough starter -there will be a post on it -which means that Monday 8:something, after I arrived from work and had dinner, there was just a piece of Pain de Campagne and I decided to make more bread. 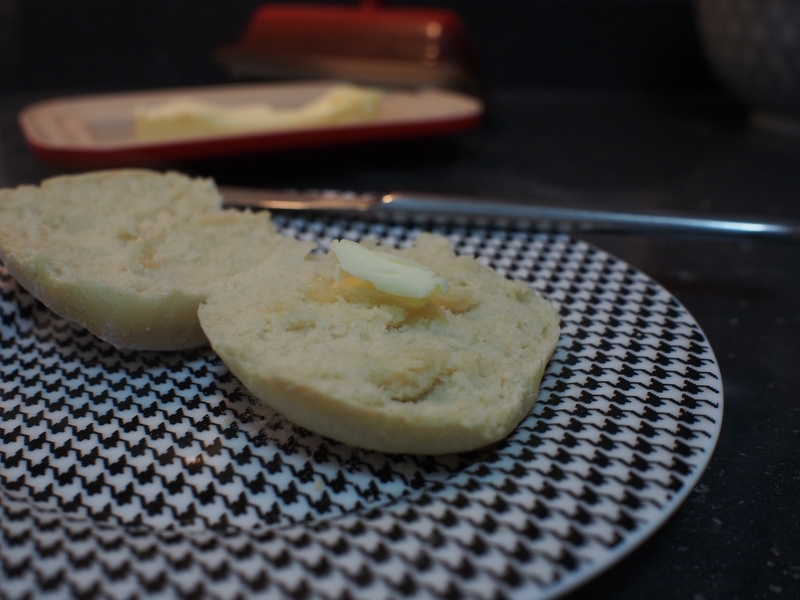 Going through the book I use the most for bread recipes, Pains du Monde a faire Soi-même, I decided on Scottish Morning Rolls, which are simple, do not require a long time fermenting and I had done before. The recipe requires only 400 grams of white flour, 150 ml of water, 150 ml of milk, 20 grams of fresh yeast (or 7 grams of the dry) and 10 grams of salt. Leave flour and salt on a bowl, mix the water, milk and yeast, and add the liquid to flour. Integrate them well, leave it to grow for 1 hour. 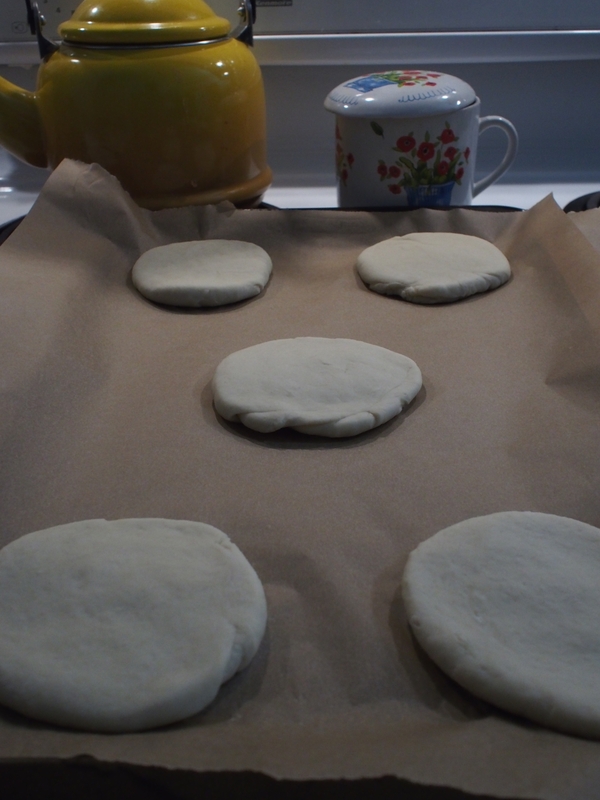 Once it grows, cut it into 10 parts, roll each of them and open with a rolling pin. Put the 10 small loaves on one (or two) baking trays, cover and leave them for 30 extra minutes. Meanwhile, pre-heat the oven to 200 Celsius (that’s 395 Fahrenheit). Bake for 15 to 20 minutes and your small and delicious bread is ready. This is a great bread for breakfast (as the name suggests), but also with a slice of your favourite type of cold cut with a little bit of cheese. However, nothing beats getting the bread freshly out of the oven, open in two with just some butter on it.